If you are visiting Maryland anytime soon, or even if you are a local resident, the National Aquarium in Baltimore has something for everyone. There are dolphins, jellyfish, an Australian exhibit, and a Rainforest exhibit. Did I mention there are plenty of sharks? You can even see snakes, lizards, toads, turtles, fish, and more! The National Aquarium is a fun adventure for everyone. Do you like dolphins? Let's face it, most people do. Dolphins are intelligent, cute, and friendly. The National Aquarium in Baltimore is the home of many different dolphins. Not only can you watch the dolphins in a giant glass viewing area, you can also watch the dolphins perform at the Dolphin Show. For just a slightly higher fee, you can see the dolphins perform at the National Aquarium. The dolphins leap, wave, and dance for the audience. Just look out if you want to get a great view in the first 5 rows. Those rows are considered the "splash zone" and there is a good chance you will walk away wet and smelling like a dolphin. However, the dolphins are so cute, you will probably forgive them. Jellyfish are really beautiful, but you really can't get close to them at the beach. Jellyfish are known to sting anyone that gets too close to them. 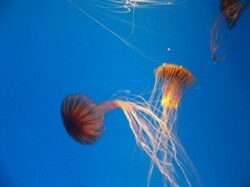 If you want to get a good view of jellyfish, you should visit the National Aquarium in Baltimore. The National Aquarium has an exhibit called the "Jellyfish Invasion: Oceans Out of Balance." You can see 9 different species of jellyfish. It is easy to wonder around and get lost in the moment watching all the jellyfish gracefully swim. You might even see a purple or blue jellyfish while you are there! You can't have a great aquarium without sharks. The National Aquarium in Baltimore is swarming with sharks. You can view them from above leaning over a railing or you can watch them in a glass viewing area. The sharks don't even seem to mind all the cameras, but you might find it a challenge to get one to sit still long enough to take a great photo. The National Aquarium in Baltimore has an excellent rainforest exhibit. You can walk through the warm, damp area as if you are in a rainforest. A number of different animal species live in this area of the National Aquarium. You can see turtles, toads, a sloth, and if you are lucky, you might just see a Golden Lion Tamarin monkey dangling over your head. There are many different types of birds in the rainforest exhibit, too. While walking though, it is like being in a jungle. Of course, this is a much safer way to experience life in the jungle rather than actually being there. If reptiles are your thing, you will especially enjoy the Australian Exhibit. You can see plenty of snakes and turtles. A giant python is one of the first animals you will see when you get to the exhibit. Even if you are not that interested in reptiles, you can see a variety of other animals. You can look up and see some enormous bats once you walk into the exhibit. Aside from the more unusual animals, you can also see plenty of fish in this exhibit. After all, this is an aquarium, so you will see a nice variety of beautiful fish everywhere you go. The National Aquarium in Baltimore is definitely a fun experience for anyone at any age in life. It will be exciting and educational for everyone involved. 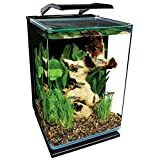 Have Your Own Aquarium at Home! Crowd control barriers are a useful tool for keeping order in popular places such as nightclubs or concerts. At the fair posters and canvas art with merrygorounds and other stalls all photos of the fairground attractions.